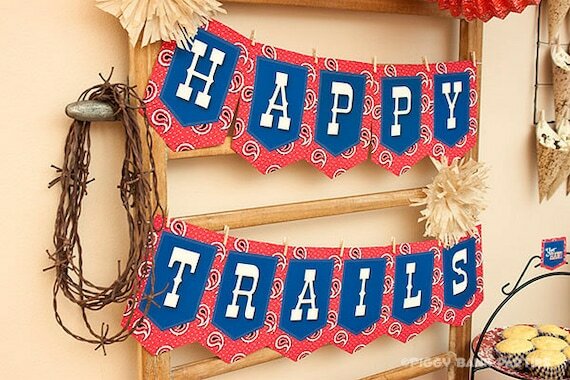 Wish someone "Happy Trails!" before they ride off into the sunset with the Happy Trails Banner! • Digital file(s) can only be opened and personalized, if applicable, in Adobe Reader. Files will not work correctly using non-Adobe PDF readers. • All copyrighted files are password protected and cannot be opened or manipulated in other programs. Passwords are never released and not necessary for properly accessing the file.